This is a photograph of Susie Brown Sweet, the daughter of Timothy Bailey Sweet and Annie Eliza Brown Sweet. Her father was a director of the National Bank of Topeka and a local businessman. Susie attended Bethany College, Washburn Academy and received an A.B. degree from Goucher College in Baltimore, Maryland. 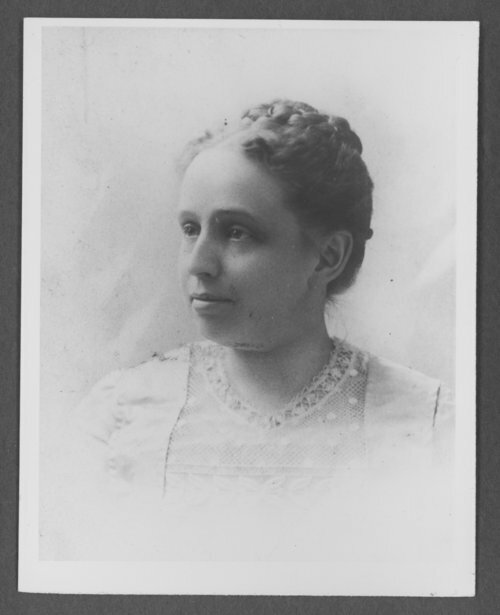 She was active in missionary work for the First Methodist Church in Topeka, Kansas and was a member of several organizations and clubs. Susie and her sisters contributed $100,000 to establish the Sweet Foundation which funded scholarships at Washburn University.